The Acer Aspire 6920 is a large 16-inch affordable laptop computer, based on the Intel Core 2 Duo T5750 processor and 4GB of RAM, which are good enough for your daily web and office tasks, as well as multimedia playback. The spacious display has a resolution of 1366 x 768 pixels, which is an ordinary one for a 16-incher. Data storage space is generous 250GB instead of usual 500GB. 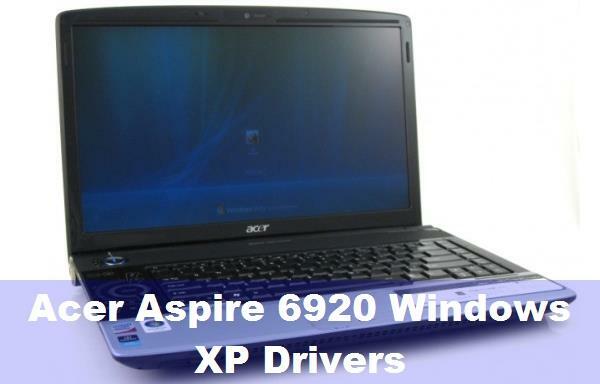 The following drivers,software and user manual are compatible with your Acer Aspire 6920 notebook and compatible with Windows XP/Vista 32-64bit. If you come across any Acer Aspire 6920 Drivers download issues, please ask for help in the comments section below.